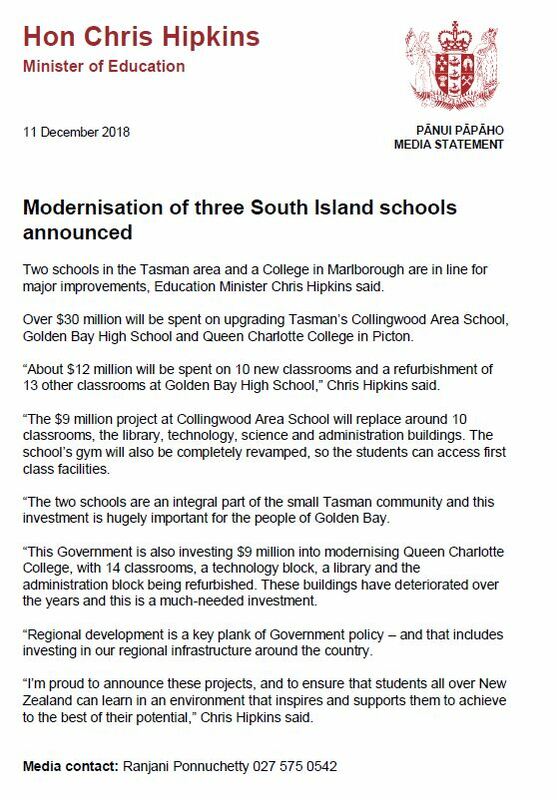 GOLDEN BAY HIGH SCHOOL - Te Kura Tuarua o Mohua - Golden Bay High School - Quality Education for New Zealand & Foreign Students. ​At Golden Bay High School students prepare for the future by learning skills and knowledge, and developing the personal resources that are needed to live satisfying, balanced and responsible lives. We cater for all students, whatever their needs. Part of our philosophy is to take into account the interests and abilities of each student. We devise individual programmes to support maximum learning where necessary. Please contact us if you need any further assistance - we would love to hear from you. These will be held in June. Please feel free to contact me if you wish to discuss. Our Ministry of Education ‘Navigator’, Greg Jansen, will be facilitating two consultation focus groups on future visioning for the school. These will be general sessions, focussed on what happens inside the buildings, not on the buildings themselves. Our female adventure racers – 4th in New Zealand! Term One is drawing to an end. I do hope all have the opportunity for a really relaxing break over Easter. Newsletter - Goldie - see all the latest news here! BYOD information can be found here. You will be able to get stationery throughout the year from the main office. Please ensure you have named everything clearly – stationery, equipment and all clothing, including PE gear and swimwear. Lost property is kept in the sickbay located in the main office. If you have lost some clothing come and check it over. Please let the office know if you change any contact details like address, phone numbers and email contact. Also any changes in caregivers or emergency contact person. Goldie (our school newsletter) and other important letters are sent by email. Please ensure your email is up to date with Linda linda.mason@gbh.school.nz If you would prefer to receive a paper copy, please phone or email the office. Over the second part of 2018, we worked on developing our school values.